Love this show, please don’t cancel it! We like Criminal Minds Beyond Borders a lot more than the original Criminal Minds. While this show tells the same type of story, it does it in a less violent and gruesome way. We like Criminal Minds Beyond Borders a lot more than the original Criminal Minds! This show tells the same type of store but it approaches the store line in a less violent and gruesome way. We hope Criminal Minds Beyond Borders is renewed. Please keep this show, I believe you are cancelling the wrong shows you should take a look and start cancelling all those stupid reality shows. Cmon CBS don’t cancel the wrong shows please. 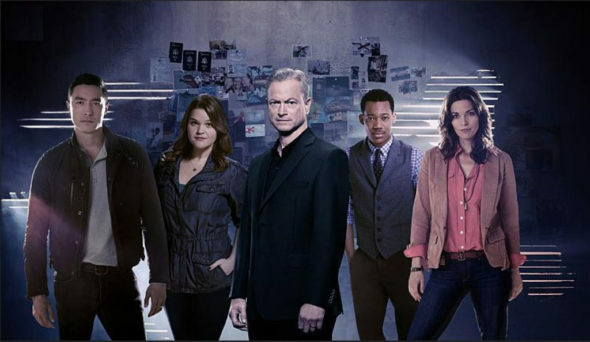 I have gotten really into this show and after the cancellation of Criminal Minds Suspect Behavior (which I loved!!!!) I hear you might cancel this spin off too!! Why get me interested than stop? Please keep this show! I agree, Mable, and find this to be a more and more disturbing phenomena. Those who do the editing should be much more sensitive to this issue. Don’t mind the music and sometimes it’s a huge part of the drama even when we don’t notice it; however, this is becoming an increasingly disturbing and hugely distracting issue. Thanks for bringing it up (as I was starting to think it just may be me!)! The whole premise of this show is a joke. How many countries would allow another countries law enforcement to come in and run the investigation, and allow them to be armed to the teeth. Outside of that observation, Garry sinise is terrible in the role. My wife likes it, I watch for five minutes, take two painkillers and go to bed. Its awesome, please keep!!! Agree up against DS makes it tough change the time or day and it might to better. Its a great show! I also love the different countries they visit. Thats different! If you don’t like it, then don’t watch it. It’s pretty simple…nobody forces you to watch it! Another CBS hit. I watch nearly all of the procedural type shows on CBS and haven’t yet found one I didnt like nor have I missed an episode of any of them. I think because they put it up against Designated Survivor is the reason they were lower. I love this show, but I love DS too.